Lots of success here. 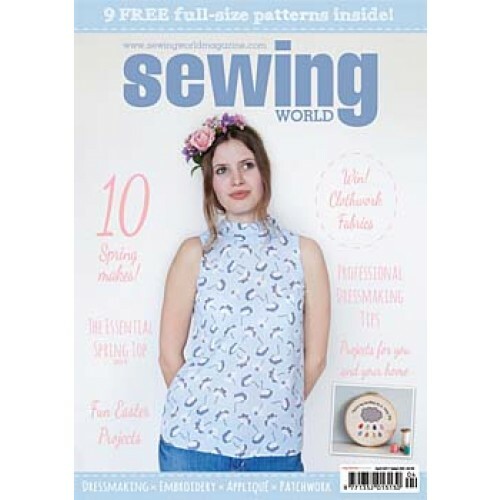 I have made three: one in stretch cotton, one in jersey and one in tricot which is a specific underwear fabric. They have all been worn week in week out over the year. 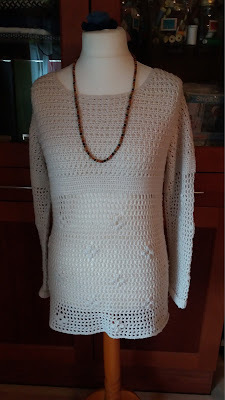 I have a new pattern for this year which includes lace so I hope to improve my skills more. I actually maxed out and made two this year. The rainbow quilt in squares and the hand sewn eight pointed star quilt. I have loved these as much for the process and using up of stash bits as the final results. They are now stowed away as 18th Birthday presents for the coming years. Mini success here. I had a go, enjoyed it but was unable to practise more due to a dodgy shoulder this year but I can always come back to it again another time. 1. 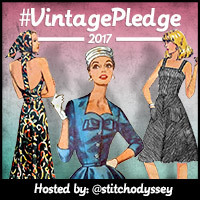 To find the perfect knicker pattern I have been trying and I have not found one I can just cut, sew and wear without making modifications that still result in imperfect knickers. 2. Make a another quilt. Because I can, it is relaxing and has no fit issues! 3. 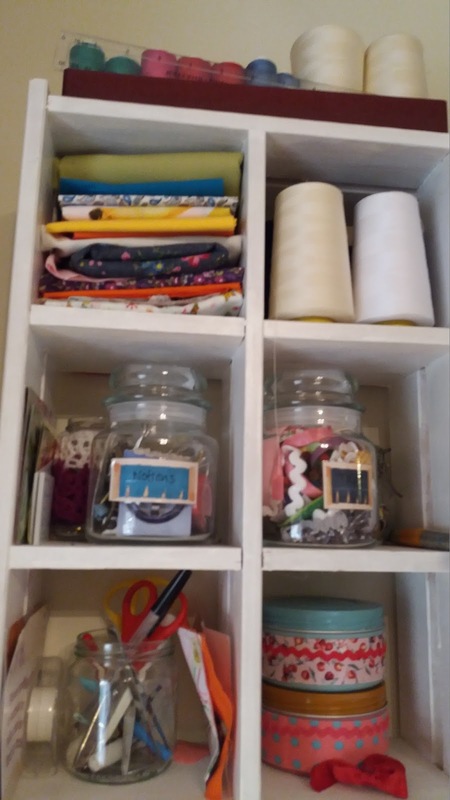 To use up as much craft stash as I can and limit buying new. I have a sponsor with Minerva and a few other companies so I should get a steady flow but I have some stuff starting to build up behind the sofa and in my nice sewing cupboard. It needs to be used not hoarded. Note the word 'limit' here not a total ban! I have a yarn stash to get through, a box of patchwork pieces, underwear notions and fabrics and a box of knitting bits and bobs like:bag handles, my pom pom maker and some weaving sticks. 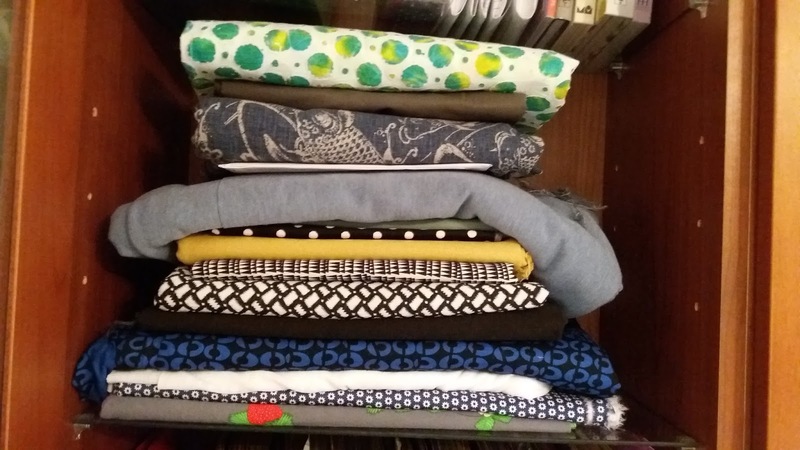 My current fabric stash is looking quite wintery but needs to be made into useful clothes for us all over the next few months. Not to mention I had some nice crafty Christmas presents to keep me going - a tassel maker, who knew? So all in all some 'thinking out of the cupboard required in 2017' I think. Here's hoping you will continue to support, clap, cheer and giggle along with me in 2017. I am always amazed that so many people hop over here and always have such happy things to say. I love that. Thank you for being one of those people. Hellooo and Happy Christmas! 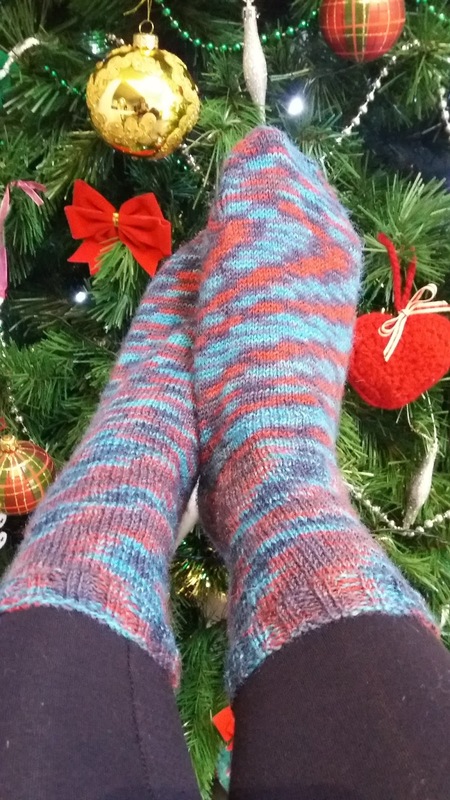 My December Minerva make this month is very topical don't you think; a pair of socks. I still don't really 'get' socks. I don't know why, this is my third pair. The yarn is so fun, King Cole Zig Zag 4ply sock yarn. 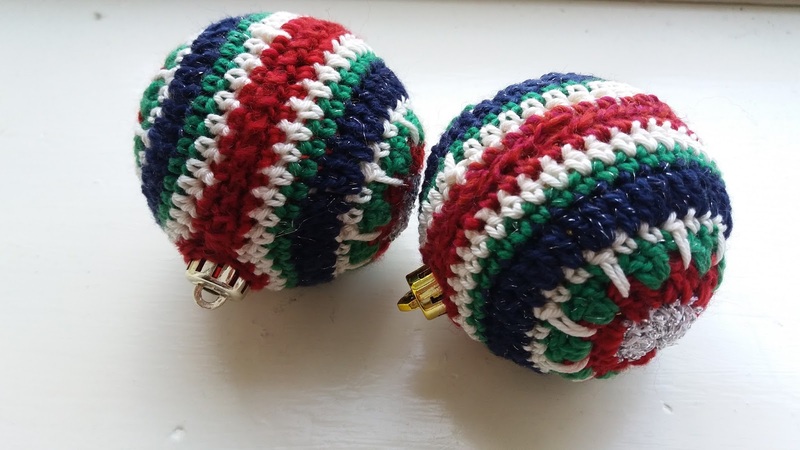 One 100g ball makes one pair which is really economical at £5.49 especially if you are starting out on your sock making journey. 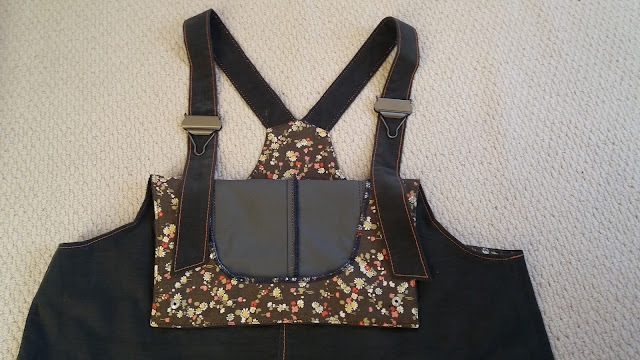 I used a blog post pattern from Susan Anderson. There is nothing wrong with the pattern I just have a short attention span when following patterns! My first pair were too short in the foot; my keenness to finish them made them a bit small. 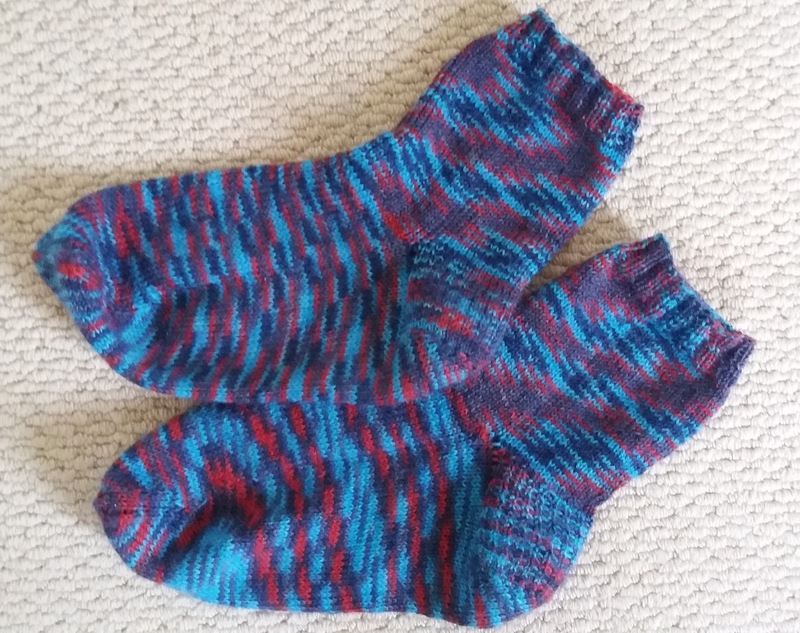 My second pair had really dodgy heel turns but I realised where I had gone wrong and finally this pair are wide in the foot because I forgot to do the decreases for the foot after I had completed the heel. I am really pleased with the heel on these though. A big improvement on my understanding of how it is formed. They are really comfortable when wearing my boots. I wore them all day and they did not slip down inside my boots or make my feet sore. 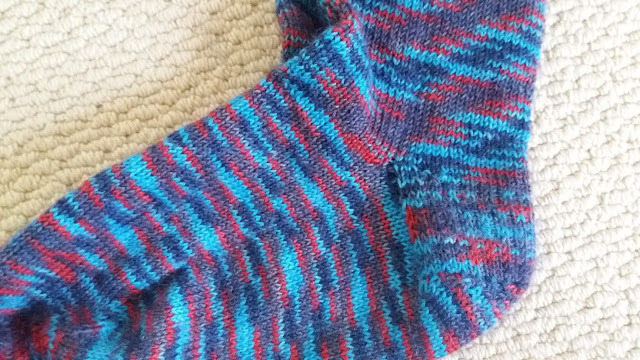 The yarn has a smooth, warm feeling on the soles of my feet. 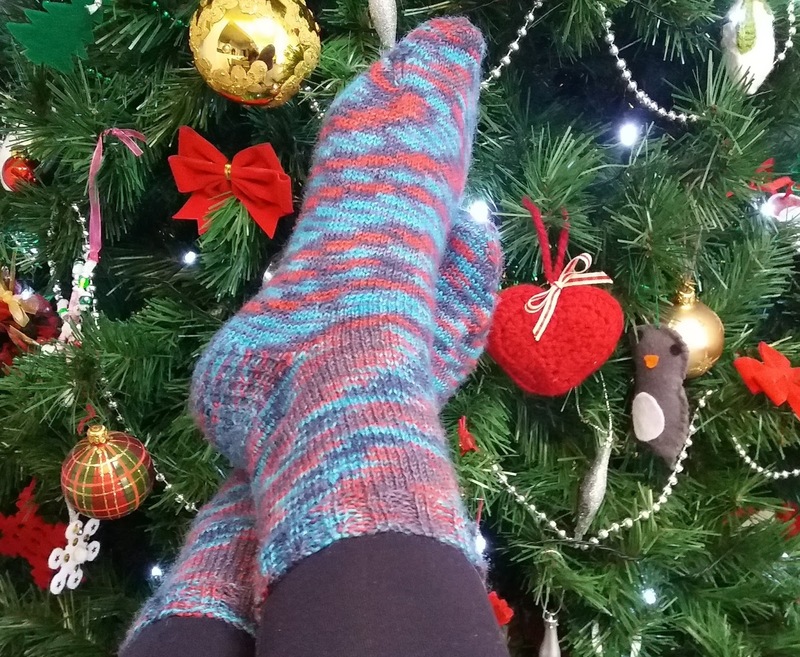 This yarn comes in a whopping 45 colour ways so plenty of scope to try another pair and really nail that pattern. Then, when I can do that, I will move onto something more fancy. Time to relax I think and cosy up to enjoy the festive season. Thanks for the wool for my Christmas socks Minerva. I made some crochet baubles last year and gave them as a gift very successfully so I thought I would do some more again this year. They are small, I can make one in half and hour and they are great to put in the post to far away friends. These ones are made of sock yarn. 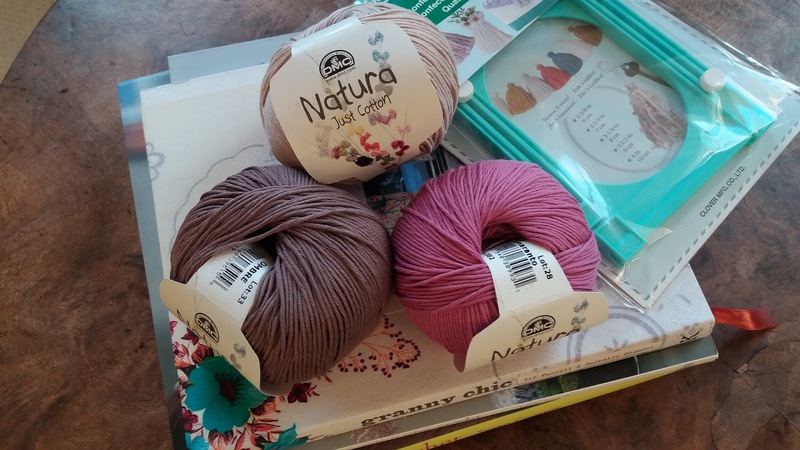 Christina from Colourful Life sent me some sock yarn leftovers for my Autumn wander shawl but there was also some yarn in the parcel with a little sparkle. 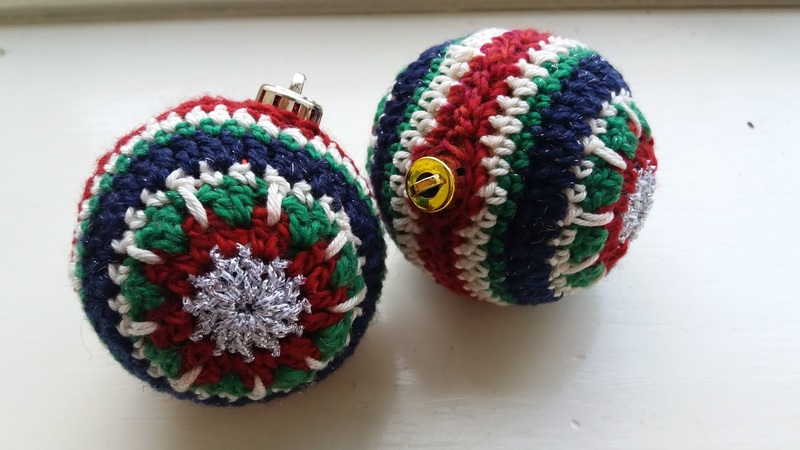 The baubles are cheap plastic ones but the yarn does all the talking. The pattern is free from Ravelry here. 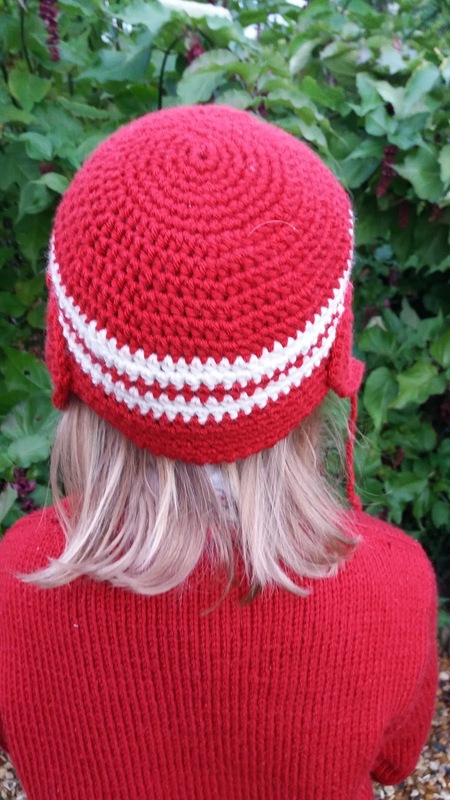 Easy to do and just a bit more interesting than granny treble ones or plain double crochet. Essentially they are a bauble cosy! 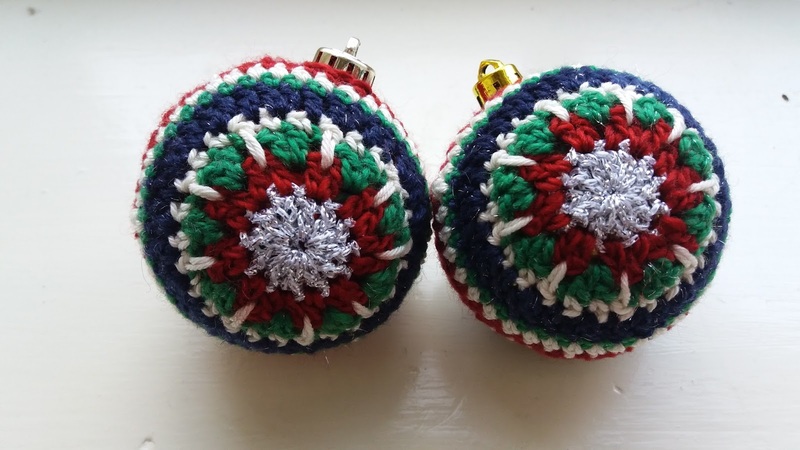 You make two halves and join them together around a bauble with a whip stitch. Might do a few more. Are you still making? 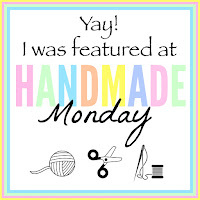 Inspired by this post at Mamas Mercantile. Have a go, it is a great way to fiddle through your button stash. You haven't got one? I don't believe you! Look at these, aren't they great? A superb present idea that only required me to walk to our local shop to buy some chocolate drops. The rest of the components I already had at home. 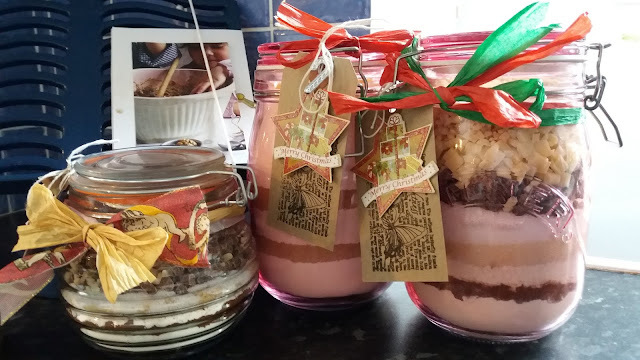 After rifling through my cupboards making these gift jars I found a surprising amount of half opened bags of dried fruit. I was not going to make a Christmas cake this year because it has taken me eight years to realise that it is only me who eats it but making one seemed the best way to get the cupboard tidy. 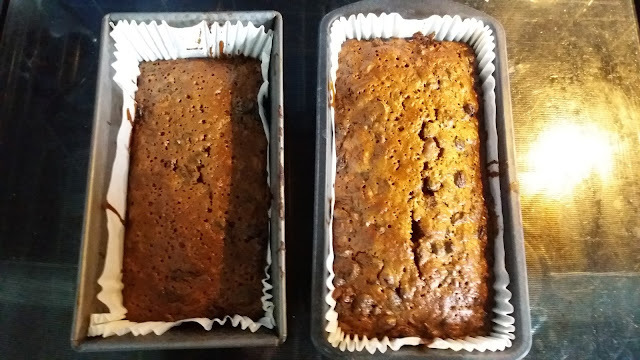 To solve the problem of eating a 9 inch cake to myself (that is not a joke) I split the mixture between two tins and I will freeze the smaller one for later in the year. Big Sis likes a piece or two but Bloke and Little M don't eat it at all. I varied the recipe a bit to accommodate the fruit I had so it includes dried cranberries and blueberries instead of so many currants so I am hoping it will be deliciously fruity. 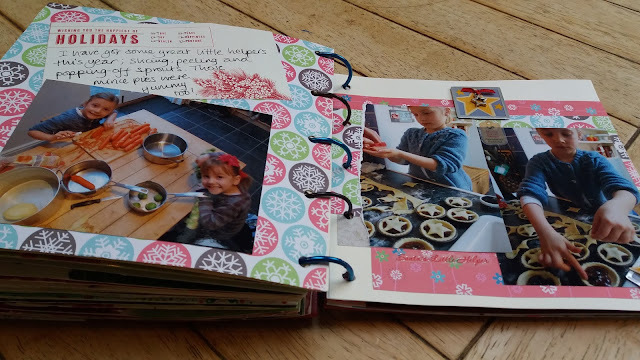 A day to myself today, I am going into full elf mode - music, occasional solo kitchen dancing, Christmas card writing and present wrapping. 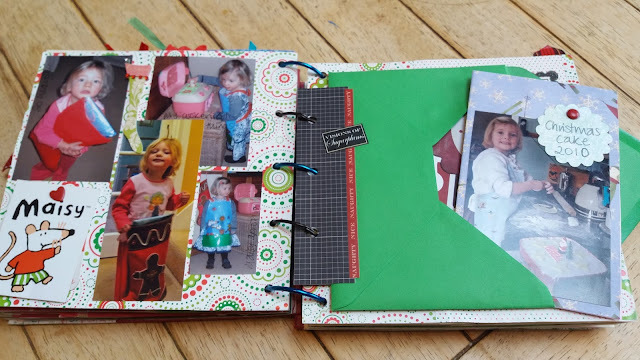 I lost my digital photos on a worn out hard drive in November and although at first I was really upset, I reflected that because I used to be such a keen scrap booker I had not lost as much as I first thought. Today I am going to share my Christmas album with you. 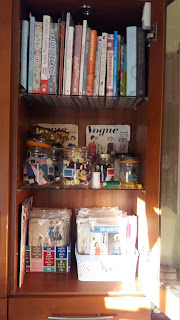 It is nearly full but it feels particularly special now that the digital photos have gone. It started life as a plain grey board album with book rings. 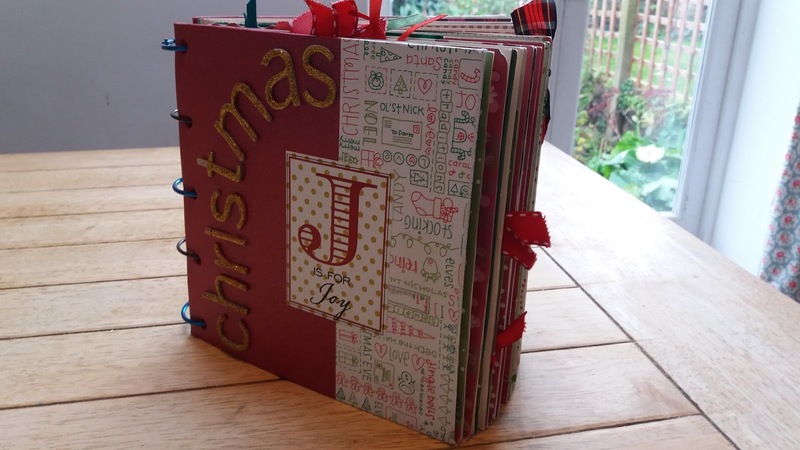 I have added twice as many pages and bought bigger rings to hold the bulky binding as the years have gone on. This album is nine years old. 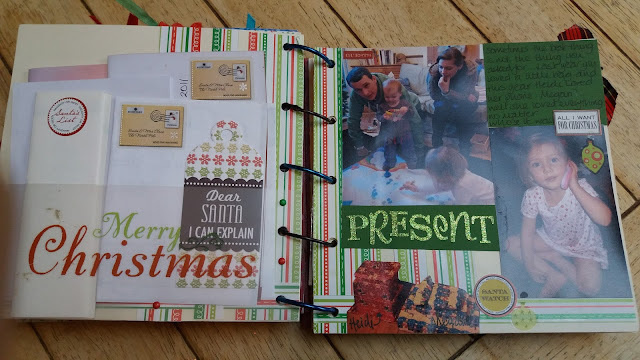 I started it for Big Sis on her first Christmas. 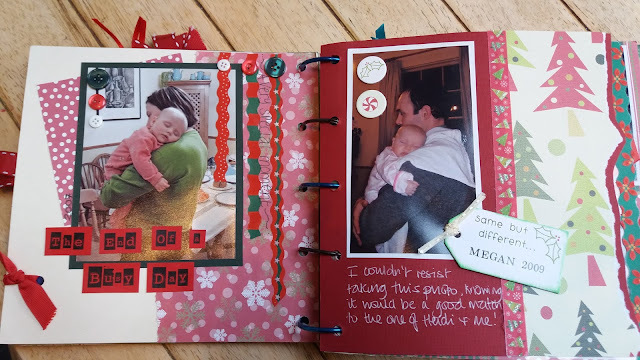 Because it has book rings, the pages could be moved around so after Little M was born two years later we could insert pages which had things in common. I really like this one. There are pages that are made of old envelopes. These hide cards that tell a different story to the photos. 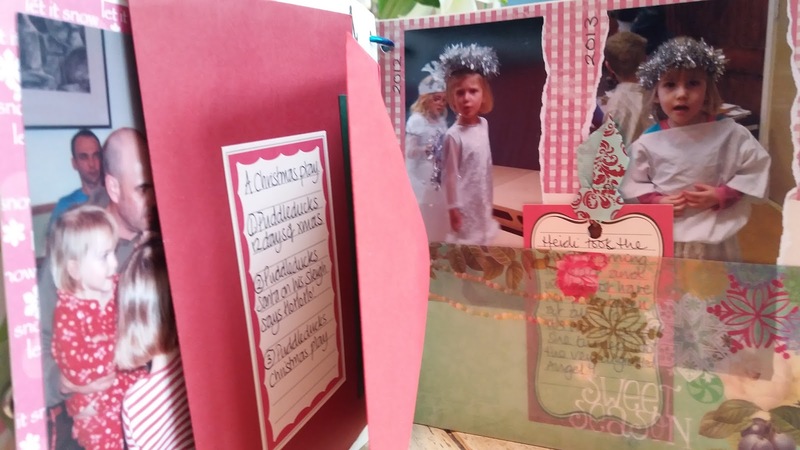 I like this one because Big Sis looks so happy about seeing Father Christmas for the first time but the card inside the envelope shows her running away and crying with a recount of the event on the back. 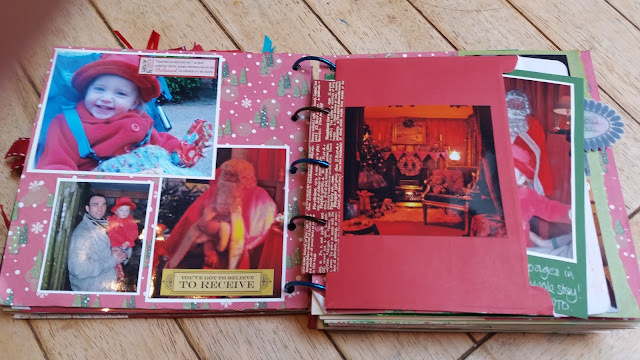 This page is what made me photograph the album yesterday. I wanted my Christmas cake recipe and I knew exactly where it was. It was in the envelope full of cards or tags of the children decorating Christmas cakes over the years. 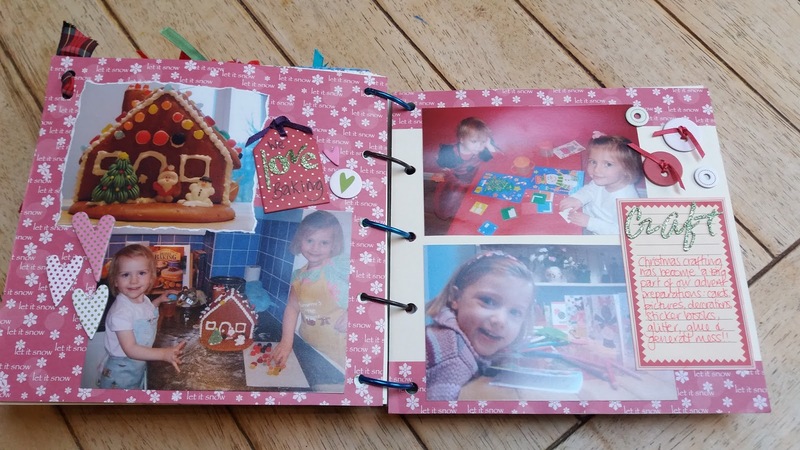 This page has a pocket to hold their hand written letters to Father Christmas. The girls love looking at these to compare their writing to now. Craft and cooking are always a big part of our advent and these are some of our favourite crafty pictures. It does have an ad hoc scrapbook feel. 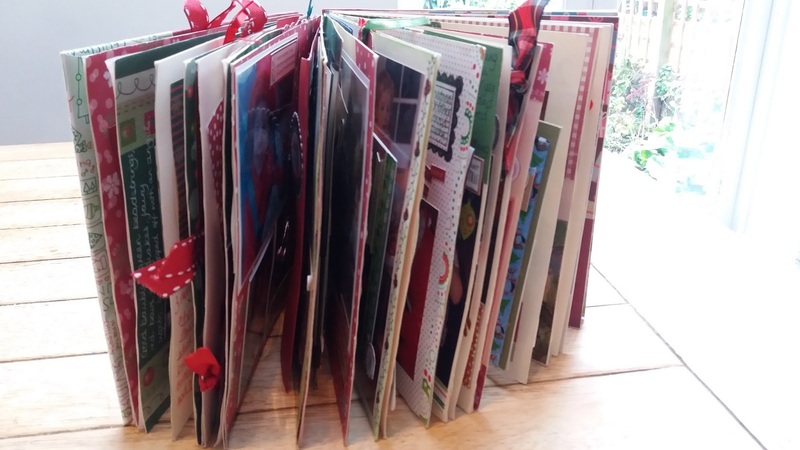 Between these full size pages are Christmas cards punched as smaller pages both horizontally and vertically. 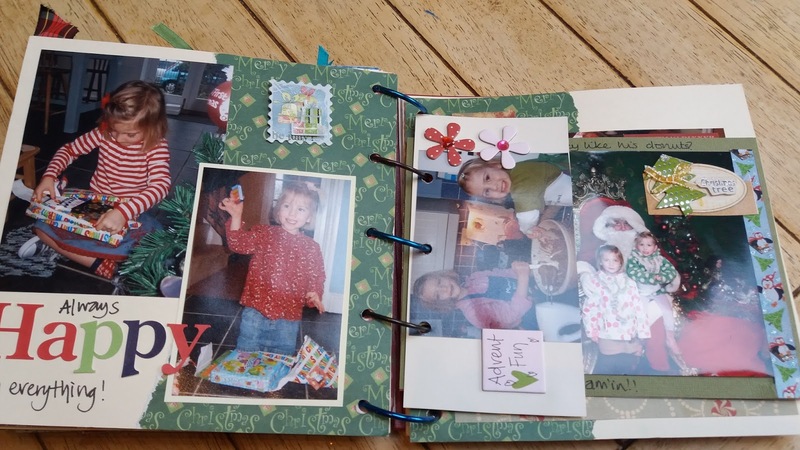 I like to include the good, the bad and the ugly in my scrapbooking. I love the photo of Big Sis on the left who does not really like dressing up so she didn't want her photo taken. 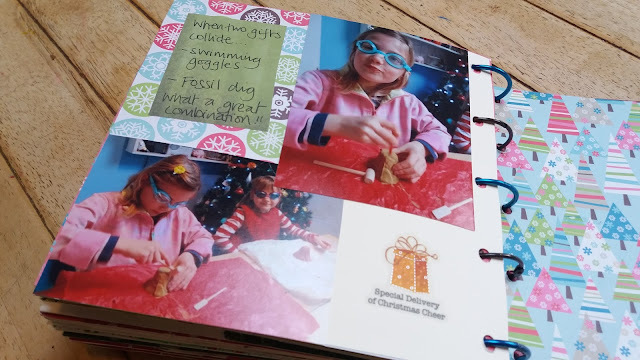 More recently, I have enjoyed the photos of them doing helpful things at Christmas time to prepare for our family meal. Finally, last year, the laughter we had watching them use a pair of new swimming goggles to stop dust getting into their eyes while getting a gemstone out of a mock fossil just had to be recorded for prosperity. I will add to it this year of course but I am so thankful we have it to look back on our Christmas traditions and memories. Hope you enjoyed that little peek inside my Christmas scrapbook. I only have to work one day this week because I had holiday to take and my learning courses have come to a seasonal end. The children have one more week of school left. Whoooo! 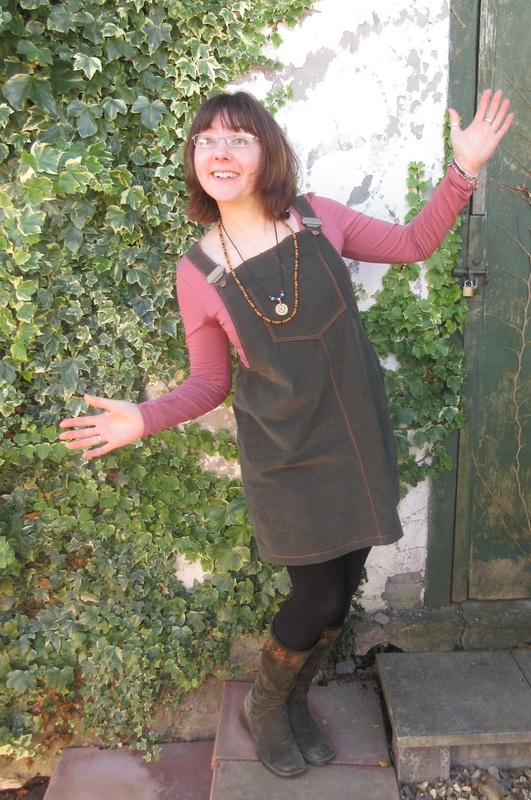 I have made the very fast Cleo Dungaree skirt by Tilly and the Buttons. 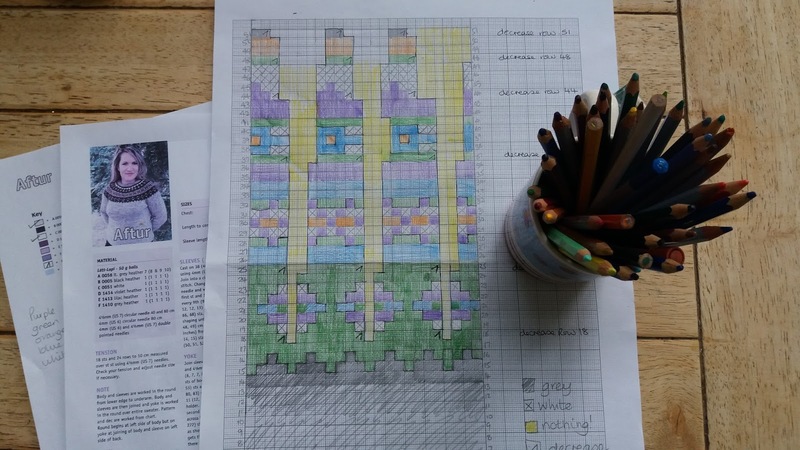 Great pattern but in hindsight I chose the wrong weight fabric. It happens, but you live and learn. My fabric choice was made entirely on a colour match that was perfect for my suede boots. 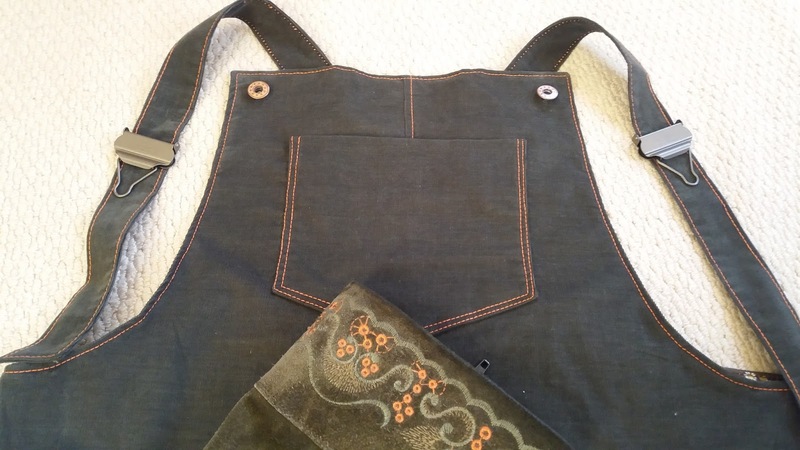 This fine needlecord however is too light to support metal dungaree clips on the straps as well as hold the bib firm on the front. I do still like wearing it though. 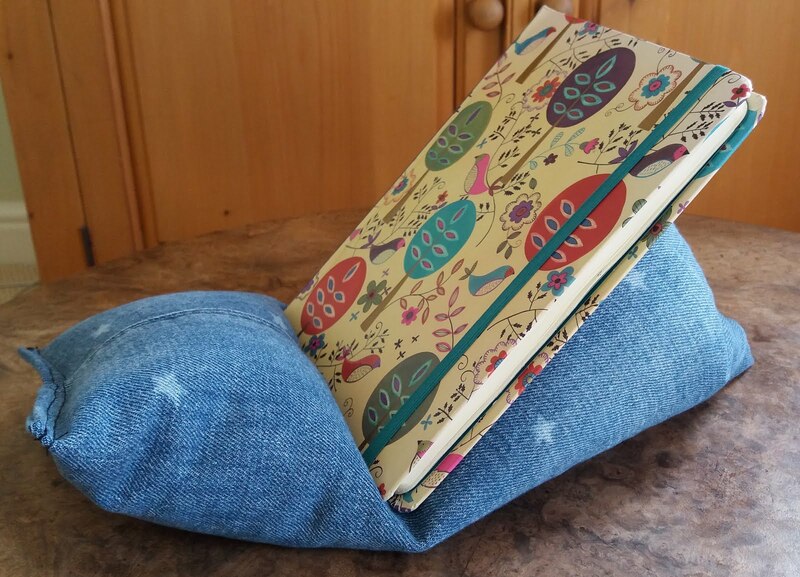 It was so fast to make I will try again in another fabric - drill, heavy cord, thick denim, canvas that sort of thing. It has been my weekend/day off outfit and is really comfortable because of the ease. I love the orange top stitching which matches the embroidery on my eight year old boots. It was all going to be so wonderful. Anyway, it is totally wearable as it is bringing me joy worn with leggings in these cold winter months. 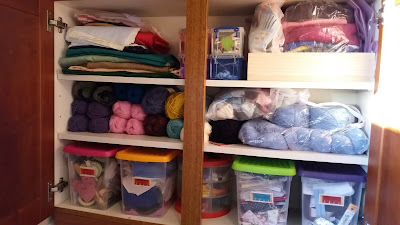 I am all done for winter clothes for a while now, might work on my quilt for a bit. Hi! 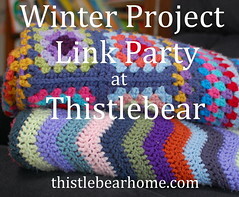 if you have just popped over from Thistlebear on the Link party. Thanks for stopping by. I have quite a few winter projects on the go at the moment. I still can't knit and crochet for more than half an hour at a time but that does not stop me from starting things somehow. I am currently trying to knit continental style to stop my shoulder from hurting but if I am honest all knitting hurts. 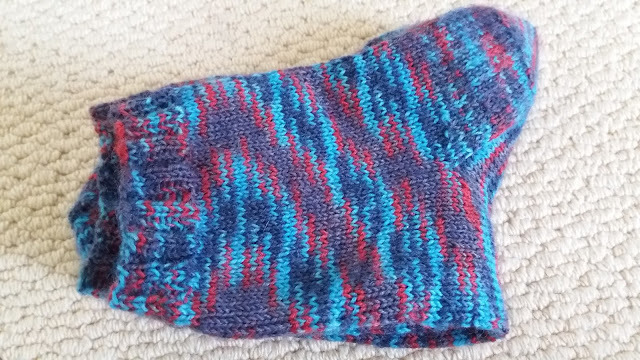 However, I am enjoying trying to get to grips with this knitting style as appose to finger throwing as I do at the moment and it is marginally better. (Thanks for the pointers Mary) This yarn is called Cascade Luna and is 100% Peruvian cotton. It is lofty, soft and light - it was also half price. I also have a crochet project hibernating. 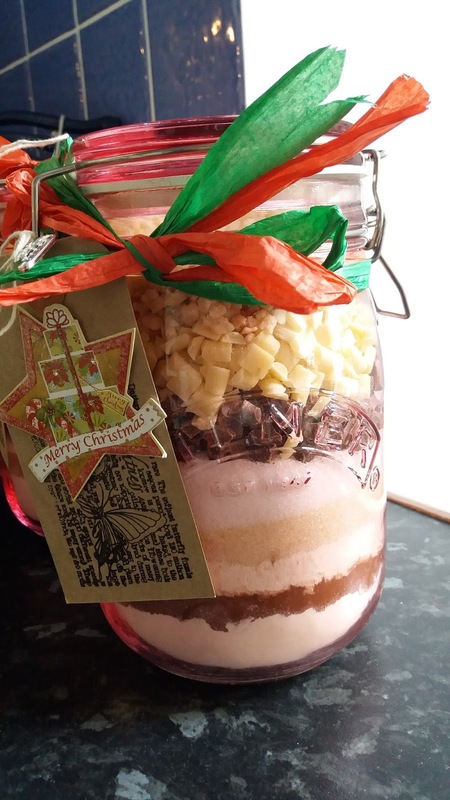 It has been in mid flow since the Summer holidays but it has fell out of season for any effort to be sent towards it. Who needs to a crochet a sleeveless poolside cover up in December? It will keep for another day. I am also making a pair of boot tops with a sock loom to give my arm variety but it is a bit slow going and again really isn't pain free. I have a feeling I will be making a swimsuit cover up in February and boot toppers in July at this rate! I 'accidently' started another sock yarn shawl but now the rows are getting longer I have popped it in my WIP's basket to pick up and put down depending on how bored I am. Finally, on a more cheery note, my mum has offered to knit me something for my birthday in January of my choosing. 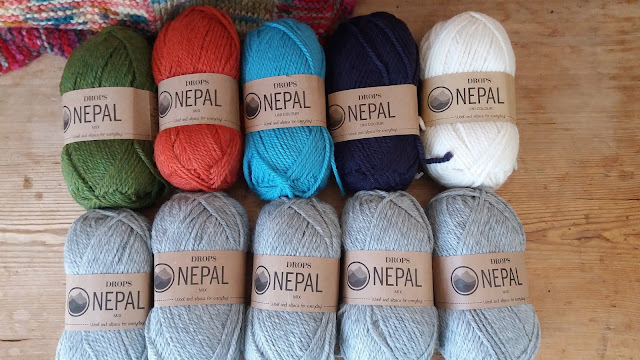 I really wanted to make a fair isle style sweater myself this year but I know I can't do that at the moment so I have ordered the wool for her to make me one. She is a great accurate knitter so I am very excited about it. I had lots of fun designing the colour combinations for the yoke so it still feels like I am involved in it. I made the chart nice and big on A3 so mum can see it easily and cross off as she goes. 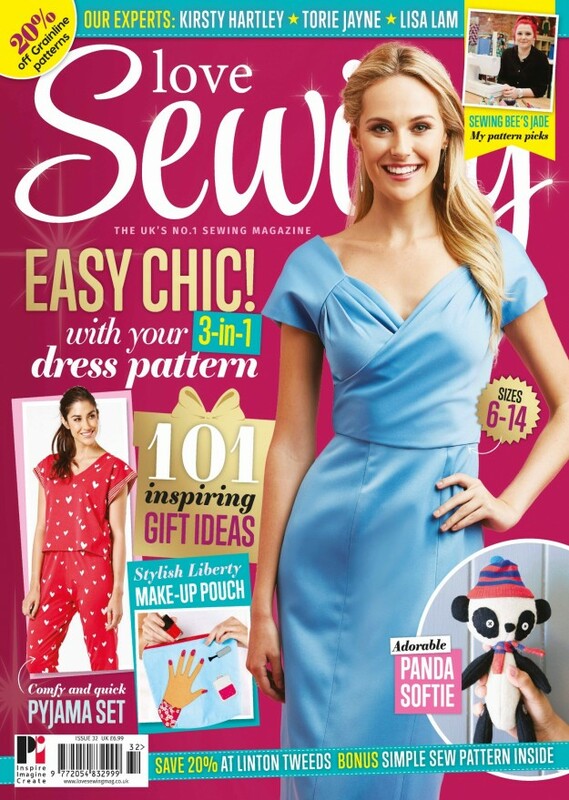 What are you knitting or crocheting at the moment? 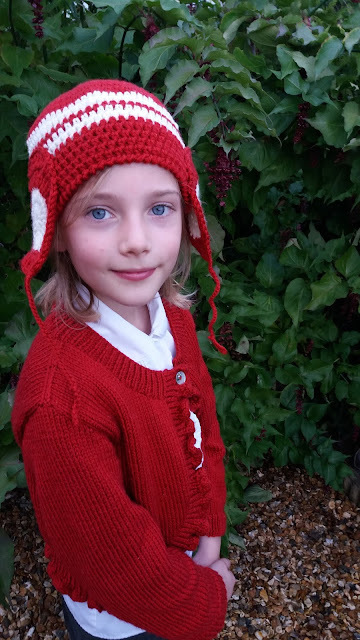 I had a bit of wool left over from Little M's school cardigan so I knocked up a crochet hat. No pattern just making a head shape and calling my big girl every night for a try on. 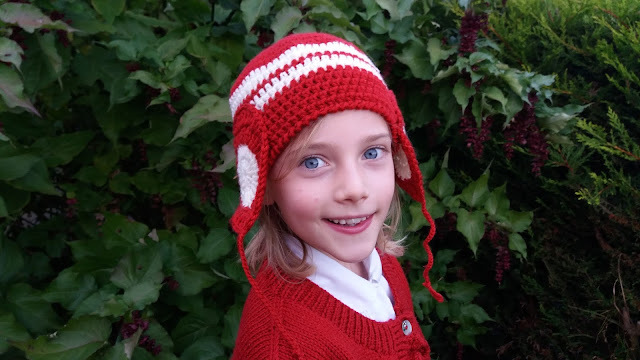 She likes an earflap style hat and has had several over the years. 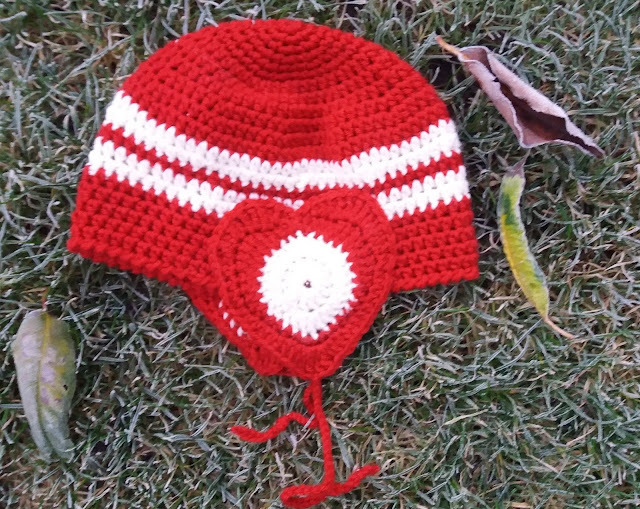 To make the earflaps on this one, we chose heart shapes. 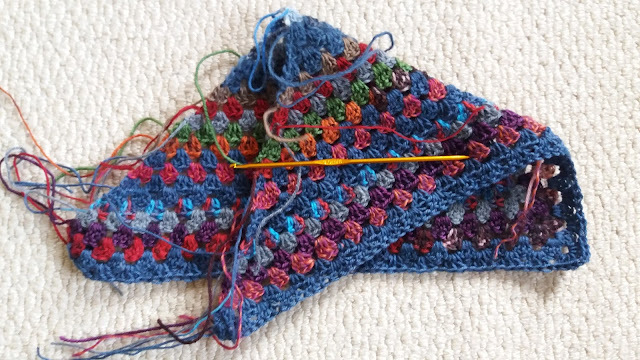 It is worked in double crochet, then half trebles (UK) and finished with the crab stitch or reverse double crochet. I just made it up as I went along. She likes it. She wears it. The yarn has all gone.